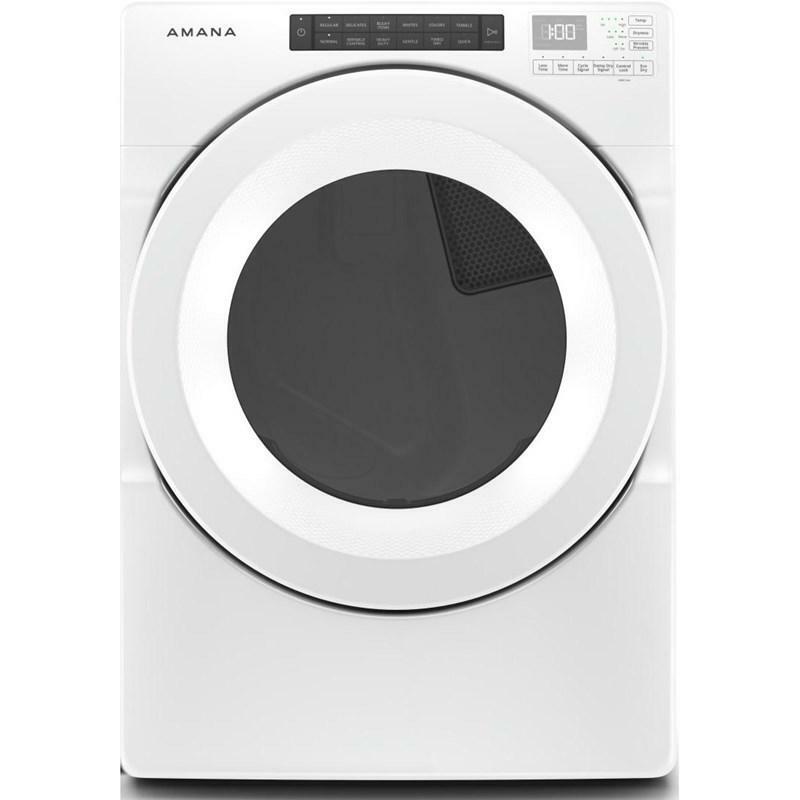 This Amana high-efficiency front load washer features a high spin speed, a delay wash option, 4 wash tempratures, a detergent dispenser, a high-efficiency wash system and multiple washer cycles. 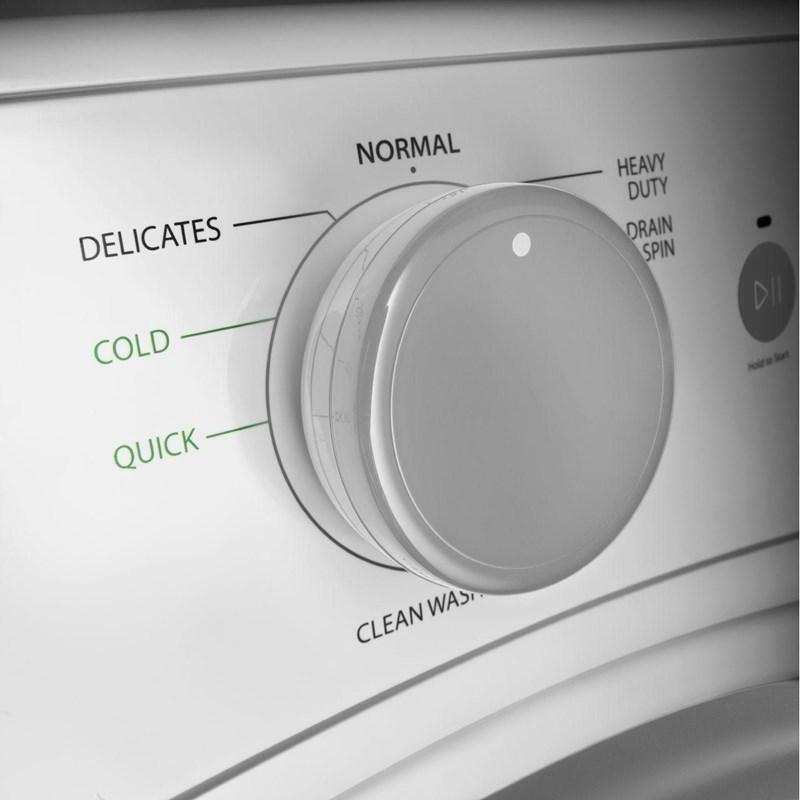 This washer uses up to 83% less water and 88% less energy. This machine can help you save over $2,500 in lifetime water and energy costs. 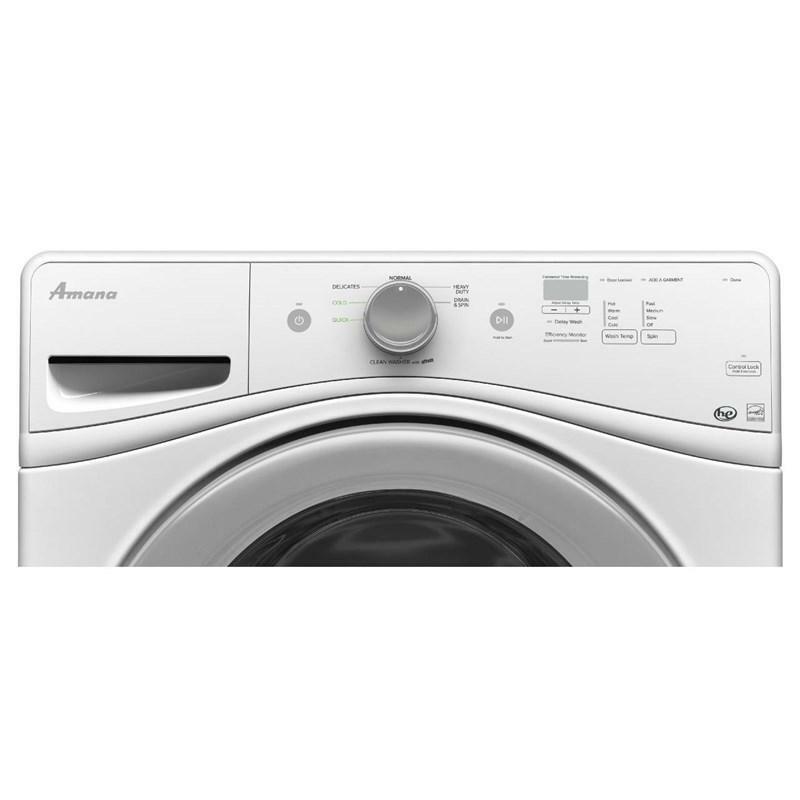 These Amana® front load washers exceed government standards for ENERGY STAR® qualification. Clean with high efficiency. 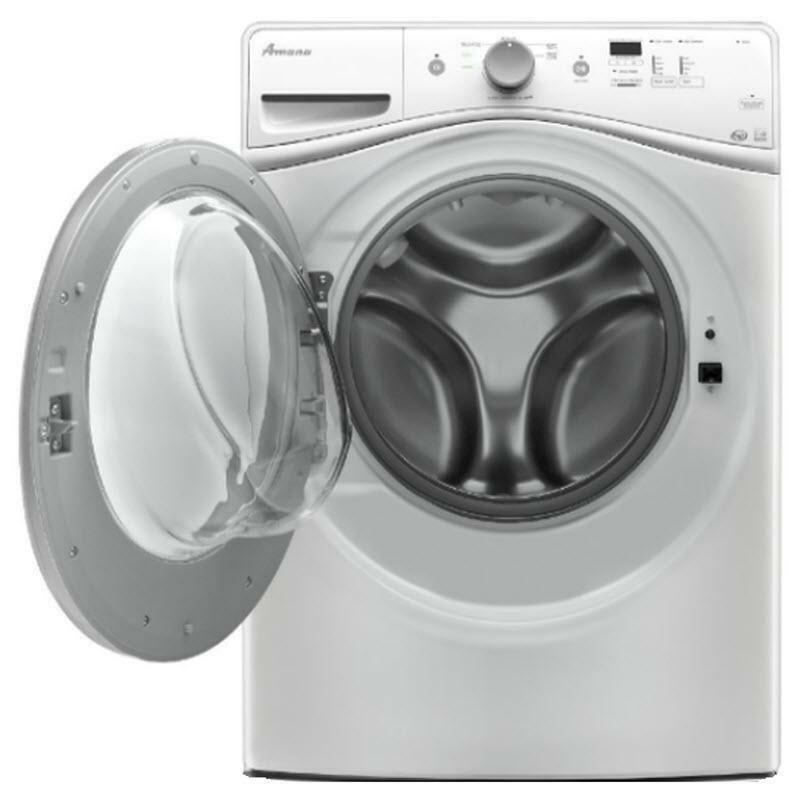 This front load washer offers 7 cycles to handle a wide variety of laundry loads ranging from delicate to bulky items like blankets and jackets. Plus, there's a clean washer cycle as well. 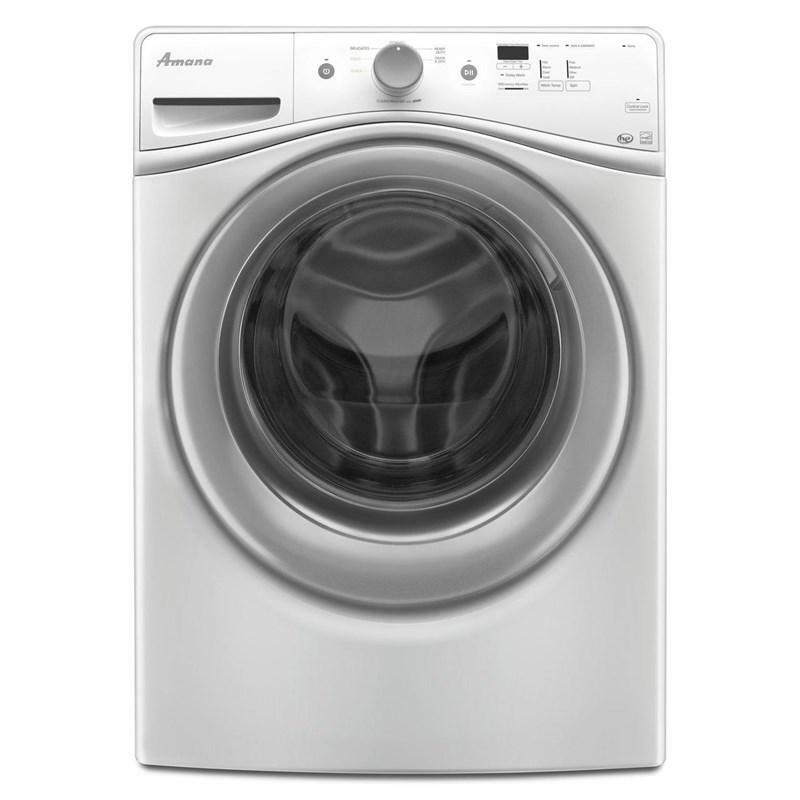 At 1,200 RPM, these washer's spin speeds save energy by removing more water in the washer, so clothes spend less time in the dryer. 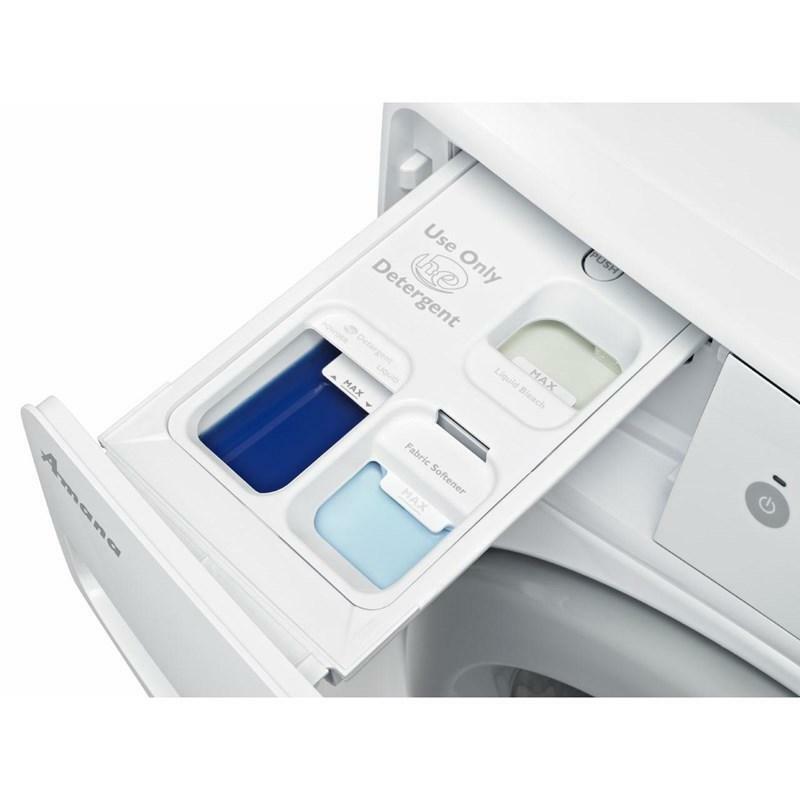 The dispenser automatically delivers the perfect amount of detergent, bleach and fabric softener at the right time during the wash cycle. Total Capacity IEC 4.8 cu. ft. / 0.14 cu. m.
• Feedback-status indicators: add garment, done (clothes clean), estimated time remaining.